Behold, Spend Matters’ very first SolutionMap℠. This particular SolutionMap charts a select group of e-procurement solution providers. 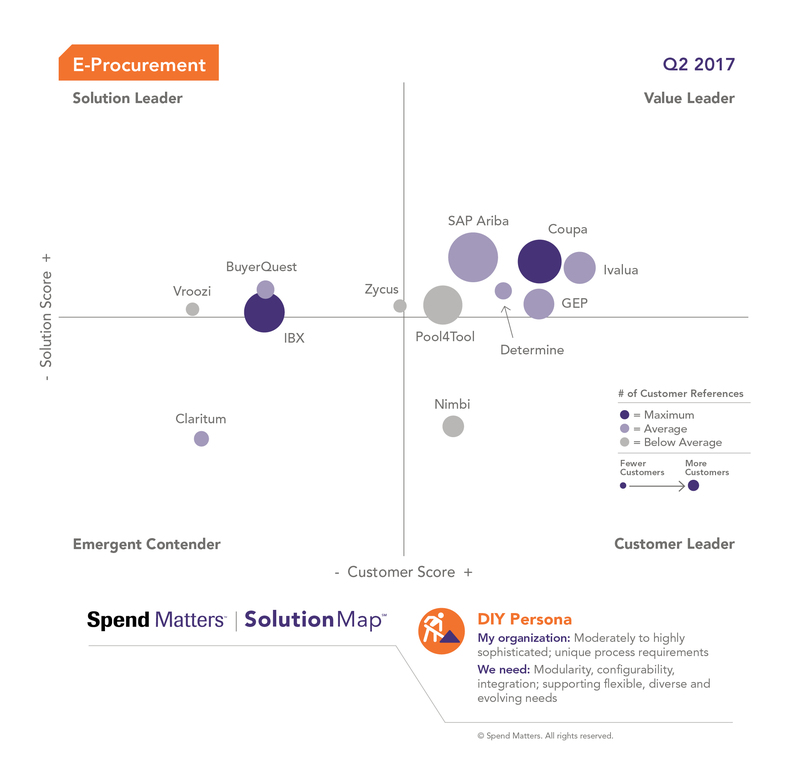 It is part of our Q2 2017 SolutionMap report, also featuring invoice-to-pay solution providers and procure-to-pay suites. Participating vendors are scored both on Solution Capability and on Customer Value. If interested in digging deeper into the back-end data and listings of typical user requirements, vendor selection tips and background on the vendor rankings, subscribe to Spend Matters PRO for full access. Access the additional 5 personas (including an all-6-in-one PDF), a summary of their key criteria and more detailed info in the full article.